How Products Are Discontinued On ProductReview.com.au? For companies that sell products, there is a continuous product cycle happening. New products are developed and introduced to the market, while older products are discontinued. With 4.5 million visitors using ProductReview.com.au every month, we want to ensure what they see about your products is current. Updates help consumers research the right information and know what products are still available. In this article, we will dive deeper into how we manage products that have been discontinued. Our goal is to help you understand how we do this, what consumers see, and how to collaborate with us. When Is A Product Discontinued? We discontinue a product once it’s no longer available to consumers. Our Sydney-based Content Team continuously reviews the products listed on our site. Once they notice a product is no longer available, they do additional research and then, if appropriate, mark the product as “discontinued”. Our definition of “discontinued” is that consumers can no longer buy the product new in Australia, either directly from the company or through the retail channel. We also work directly with companies that update us on products they are discontinuing. What happens when a product is discontinued? When we mark a product as discontinued, we place a yellow information banner on its listing. This banner highlights that the product is discontinued and links to the listing of any newer models that have replaced it. If a new model comes out, is a new listing created? When a new product is launched, we evaluate whether this is an entirely new product or a new model in an existing product line. If it’s a new model, we will then add this model to the existing product listing. 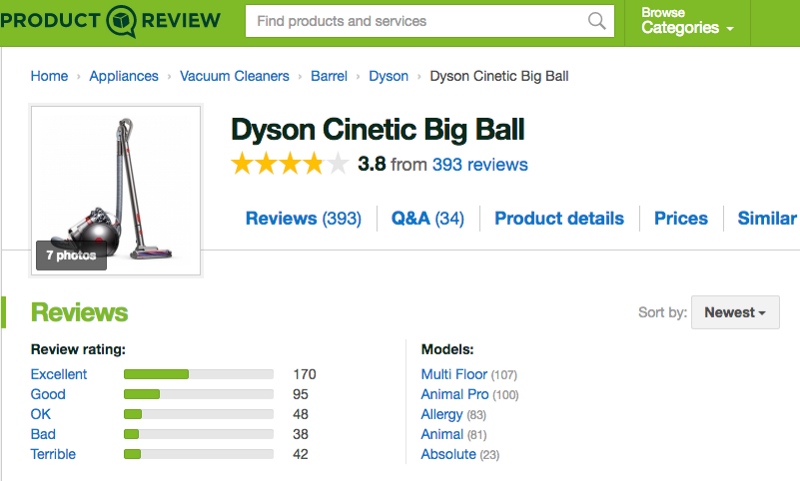 The example below illustrates the various models of the Dyson Cinetic Big Ball vacuum cleaner. This approach helps customers see the ratings and reviews of both individual models and the overall product family. If the product is entirely new, we create a new listing for it. In determining whether it is a new product or a model, we evaluate the product, how it is being marketed, its features compared to previous models, and if it is fundamentally a different product compared to the past versions. Does a discontinued product still show on ProductReview.com.au? Category Page: Discontinued products are seen at the bottom of the category page and marked “Discontinued”. Brand’s Page: Discontinued products are listed on the brand’s page of products and marked “Discontinued”. 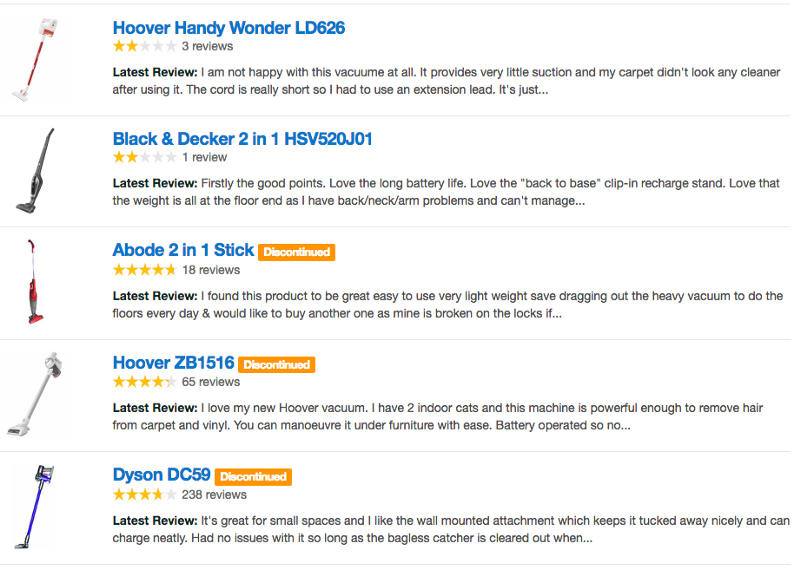 Products that consumers rarely search for are listed only on the brand’s page of products. Will a discontinued product still show up in Google organic search results? Unfortunately, Google is not able to determine if a product is currently active or discontinued on ProductReview.com.au. If Google has indexed the product’s listing page, it will show up in organic search results. 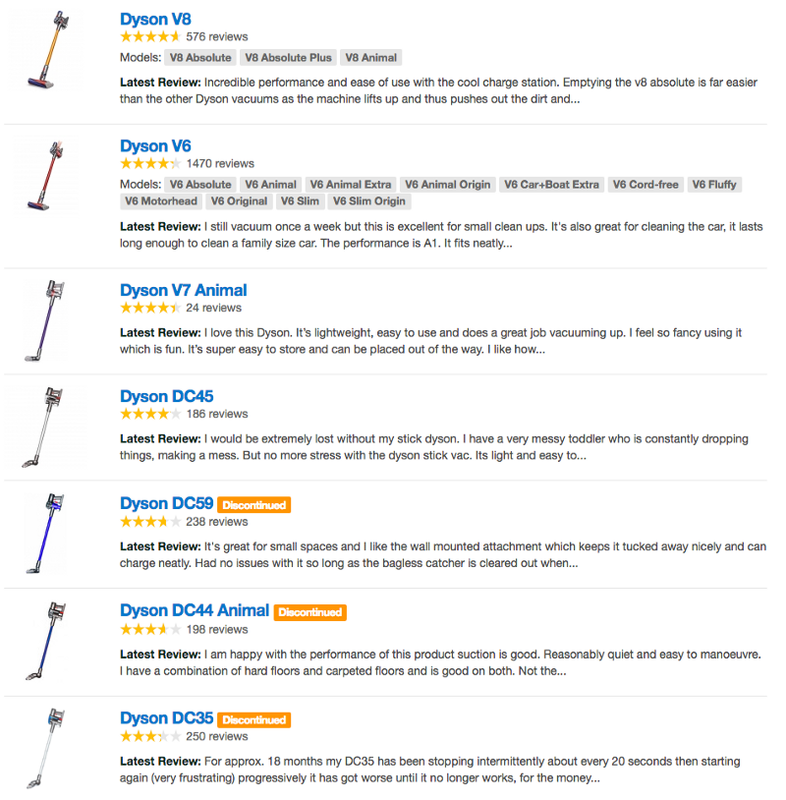 Once we discontinue a product, it falls down the search rankings very fast. We notice that traffic to most listings drops off within one month after being discontinued. How do you update your products on ProductReview? Besides our work in tracking discontinued products, companies are also working directly with us. They are proactively letting us know about new and discontinued products so we can update ProductReview.com.au. If you have product updates, you can send them to us at bm-support@productreview.com.au. We give priority support to our customers and strive to update their listings in 24 hours. For non-customers, we make the updates within five business days. And there you have it — everything you need to know about how we handle discontinued products at ProductReview. Please let us know if you have any questions about this process or any updates you might need to the products you have listed on our site. My business is no longer in operation, can my listing be removed? How do I change or update my listing logo? I am a new owner of a business with poor reviews from the previous ownership. Can I start over with a clean slate?